It's wonderful to pay a visit to Genoa, there are many visitor attractions no matter who you are travelling with. We only wish to offer a few suggestions of what to do in Genoa but rather just provide guidance and offer advice on what is there. Like any city, there are good places and bad places to visit and if it is the first time you are visiting Genoa or if you have been there before, it's important you make the most of your time there. It is good to have an idea of what type of trip you want to make, and Genoa has a wide array of exciting places to visit that with stick with you for a long time. These are a simple starting point if you have a good local book or guide you can expand on these and depending how much time you have in Genoa. You will surely discover an array of interesting locations and attractions in the Genoa area of Italy. Genoa is not a hard place to travel around, when you have grasped the layout of the place and you are familiar with a couple of landmarks you should be able to navigate around with ease. You can cover a lot of the city as a pedestrian but be sure to stick to popular and familiar areas after dark. If you wish to traverse greater distances across Genoa there are a number of transport options. 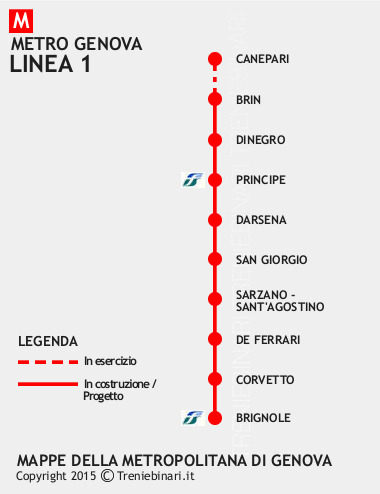 Genoa has a small Metro system with 1 line and 8 stations. There are also 3 funiculars (the Zecca–Righi funicular, the Sant'Anna funicular and the Quezzi funicular). There are safe and reliable buses where passes can be bought to include multiple trips on more than one day. Collect a Hire Car in Genoa, there is also the alternative to use Genoa Taxis, where you can seek local knowledge from your driver. Whichever way you plan to explore Genoa make sure you see as much of the city as your can. If you wish to stay in Genoa for a great period you will need to find a place to stay. Genoa offers a broad range of places to stay these includes high end, deluxed locations to more modest hotels, B&Bs and hostels. If you are visiting the city on business ensure the hotel you decide to select has the business facilites that suit your needs, check the area location is good as traffic in Genoa may result in problems at certain times. If you are looking for a prestigious hotel to stay at there is a selection of top independent and chain hotels. Genoa also offers a good selection of lower star hotels that offer basic but suitable facilities for travellers. If you don't have a large budget there is a number of guest houses and hotels in the area which are a fine place to sleep overnight. 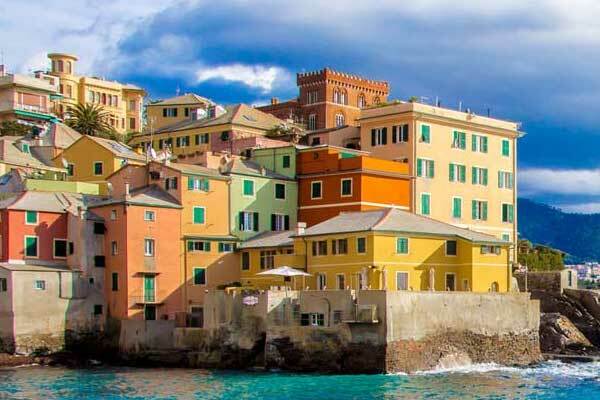 Whichever type of accommodation you select in Genoa try and make time to see if any bargains exists on a wide array of travel web sites, often when there is a big event on in town. A wide number of places are available to eat at in Genoa, the venue you are limited to is only bound by your budget and tastes. There are quite a lot of dining venues that offer Italian meals and don't break the bank. If you are seeking out a high quality dining venue there are a number of these, but be sure to have a prior reservation also ensure you are dressed correctly. If you just want quick food there are the familiar names , but if you want something a bit more edgy find somewhere that's really busy. Part and parcel of visiting a city is to enjoy everything about it, including it's food There is a wide variety of places to dine in Genoa. whether it is a café, restaurant or the food that can be bought and eaten on the street. Check out local guides and press for offers and try something that you have never had before. When getting to grips with a city such as Genoa it is a good idea to have some good local information. Here are a number of facts that could be of help to you. Like most cities Genoa possess it's own good and bad points. it is key not to be too complacent and you and your travel party will be fine and have a fantastic trip to this wonderful Italian place. Try and make you’re read your guide book brief to understand the city geography, don't make it obvious you are a tourist by exposing expensive electronic goods and don't wear expensive jewellery and excessive cash on your person. Don't stray too far into unknown areas after sunset and if you do discover you have lost your way, don't panic and go into a shop and ask for help. You might be enjoying yourself, but still be alert. Stay street wise and you will have a great trip to Genoa. As a rule Italy is a very safe country with warm and friendly residents. A bit of research is very valuable and if you know a city better, you will have a much better time there.